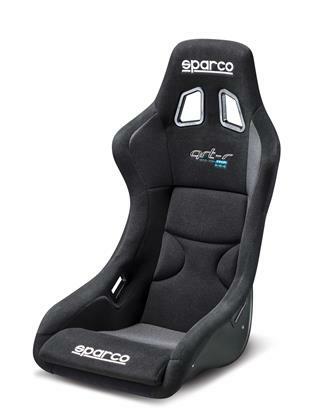 008005RNR - Sparco Seat - Competition Series - QRT-R - Pann Auto Performance - San Diego largest aftermarket automotive performance parts - What do you drive? The QRT-R is the first seat to feature Sparco’s patented QRT ultra-light technology. This QRT Technology gives an unparalleled mechanical strength/weight ratio for fiberglass composite racing seats. QRT Technology gives an average weight savings of 7lbs (up to 10lbs +) per shell. The main benefit is that QRT-R seat approaches the weight of a carbon fiber seat at a price of a fiberglass seat. The QRT-R seat shell weighs 9.9 lbs. The QRT-R has a unique CAD design that features a lower seating position that can fit a larger/taller driver with the exterior dimensions that can fit into smaller vehicles. The QRT-R is FIA approved.